The total number of people who speak the Greek language is currently more than 13 mln. 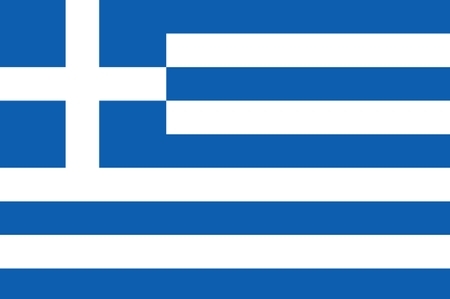 In addition to Greece itself, Greek is also an official language in Cyprus. Moreover, Greek is a language of inter-ethnic communication in Bulgaria, Albania and Romania, without any official status. The literary heritage of outstanding value was created in Greek in ancient times. For example, the knowledge of Greek was considered to be compulsory for any man of education in the Roman Empire. Nowadays, Greek is a source of creating new scientific and technical terms at the same time as Latin. Greek words infiltrate Russian primarily through international lexicon and Old Church Slavonic. Translation company Law & Word Company provides services in translating from Greek into Russian and from Russian into Greek. When required, translations can be made by native Greek linguists. The price for a normal (not urgent) translation both from, and into, Greek is RUB 700.00 for one translation page (consisting of 1,800 characters with spaces). The term depends on the scope of translation work. We specialize in the requesting and the legalization of documents in any country of the world, including countries of the former Soviet Union (Uzbekistan, Kyrgyzstan, Turkmenistan, Kazakhstan, Ukraine, Moldova, Belarus, Georgia, Armenia, Azerbaijan, Tajikistan, Latvia, Lithuania and Estonia).